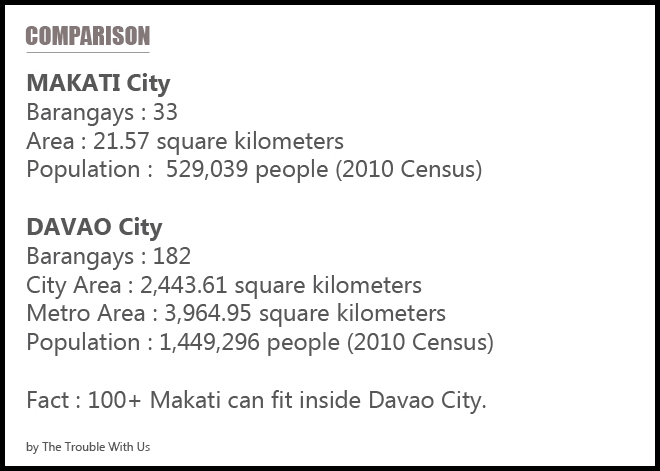 Why Davao City Needs More Than 11,000 Contractual Workers - Exam News, Reviewer, Military Career, & Everything [MN] . . When Commission on Audit (COA) questions Davao City Mayor Rodrigo Duterte’s hiring of 11,246 contractual workers in 2014, which cost the city government P708 million he pointed out that ex-mayor Benjamin de Guzman is responsible for it. "The mayor before me did it. De Guzman did it. Why only now? Wala akong ginawa, basta ang pera dumaan sa ganito. If I can produce one worker of the 11,000, magsabi na may piso dumating sa akin, magre-resign ako bukas, at magpapakulong ako,'" Duterte said in a statement. Duterte also questioned the timing of COA’s findings, which claimed that the Davao City government spent a total of P708 million for the hiring of contractual workers, told Philstar. The publication of the COA report in Rappler, was not bylined and without any attribution to an officer or the auditing team of the government audit body. In defense, the City Human Resources Management Office head Erwin Alparaque said that the supposed COA report was made last year and their office had already settled the issue with COA. 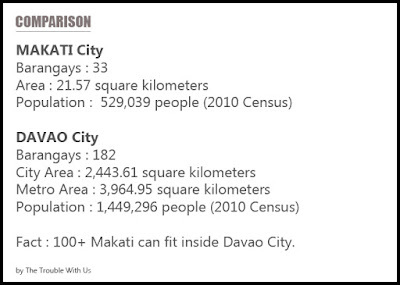 This was confirmed as well by COA here in Davao City. City officials said that the COA report was but an audit observation and not a notice of anomaly. Alparaque told DavaoBreakingNews that it is normal for COA to issue “audit observation” on local government unit spending as part of regular auditing process but the observations are not necessarily findings of irregularities. In the latest report posted in Inquirer.net, Duterte bares he would hire three times as many contractual employees as the existing 11,246 if only to keep the city clean, safe and orderly. “In the government, we don’t add plantilla positions every year and Davao City is one of the biggest cities in the country, so, we hire contractuals,” Duterte said in reply to the Commission on Audit (COA)’s report. “The P708 million (that the COA questioned) is part of the city’s operation expense, I’m spending it on contractual workers from garbage collectors to drivers, to intelligence operatives roaming around the city,” the mayor said in his television program “Gikan sa Masa, Para sa Masa” on Sunday. “You don’t expect plantilla workers to collect garbage, don’t you?” he asked. “And garbage collectors are working in the city on three shifts,” Duterte said. Meanwhile supporters lauded the mayor for the effort of hiring more contractual as a practical ways to solve unemployment in the city. They added that contractual workers are more decent compared to ghost employees.